Yep! You read that right. This recipe requires only two ingredients. My favorite thing about this recipe is that it’s a low fat sweet treat. 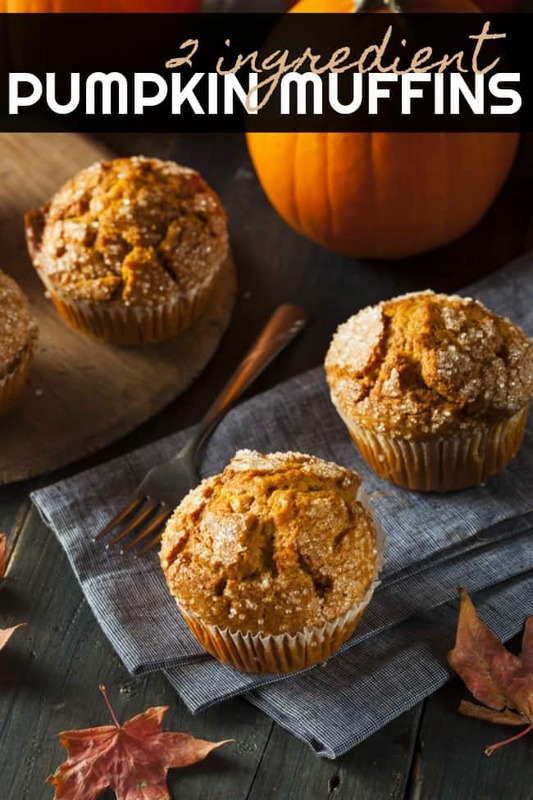 These muffins come out super moist and yummy. 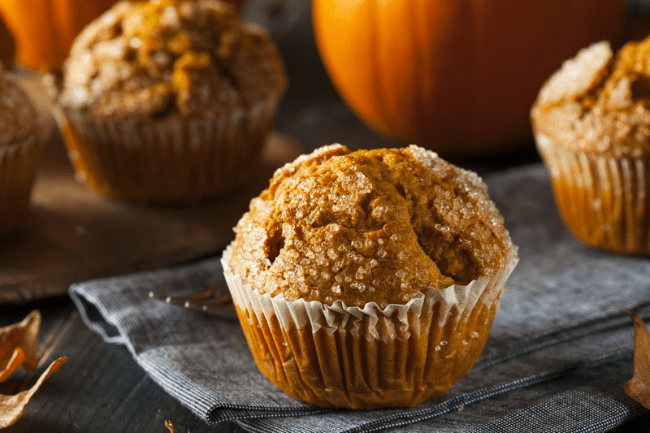 There is just a hint of pumpkin flavor so don’t disregard them just because you may not be a pumpkin fan. Give it a try! You just might like it. 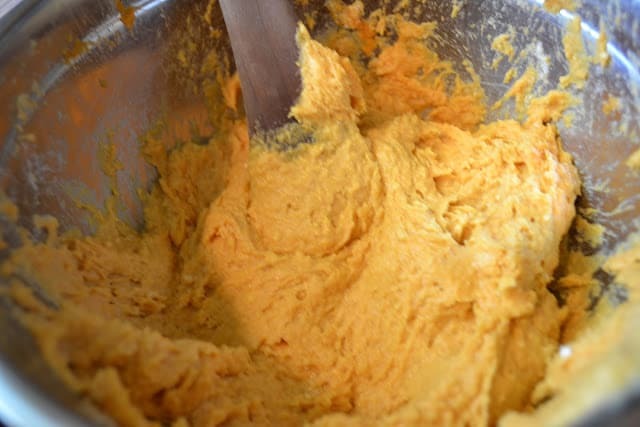 All you have to do is add in the 2 ingredients and mix together. No oil, eggs, or water needed! 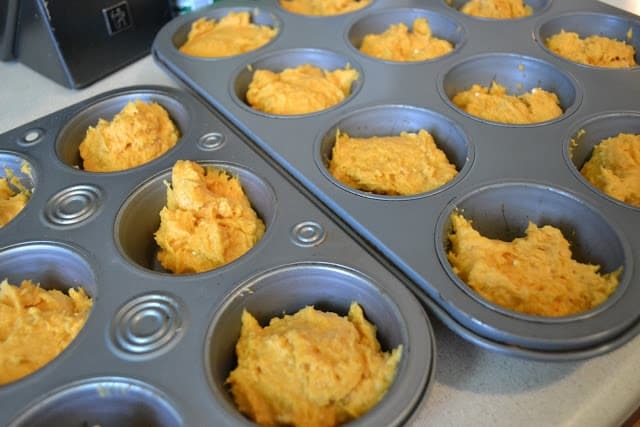 Spoon into a muffin pan, with or without liners and bake at 350 degrees for 20-25 minutes. As a added touch you can sprinkle the top with powdered sugar but you can skip that part if you want or don’t have any available. It just adds a little something. You can even top them with icing. Yum! 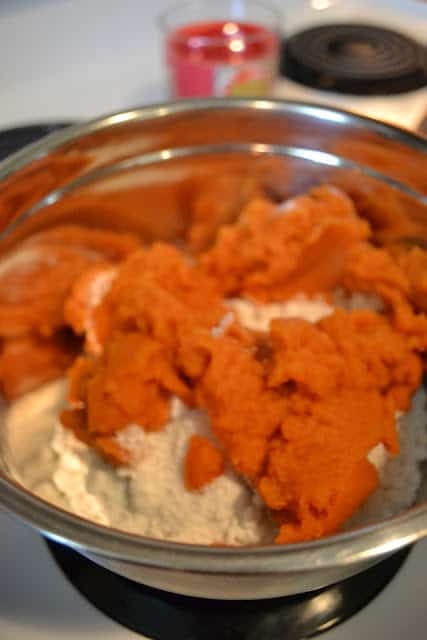 I cook these with yellow or spice cake mix. If you want to try a little chocolate treat you can also use chocolate cake mix. I have also tried them that way and they are equally as good. I’ve seen this around pinterest a lot I’m not a pumpkin fan but I might make them one day for my mom! The spice cake is one of my fave ways to eat them, yummy for breakfast with coffee. The chocolates are pretty good, my daughter liked them and you are right a good way to get a sweet treat without to much sugar. What a great recipe for young bakers. This will be one I’ll make with the grandkids next time they come to visit. Thanks! I would suggest going with the chocolate cake mix for the youngsters, they would love it. I’ve tried cookies like this, but with a spice cake mix. 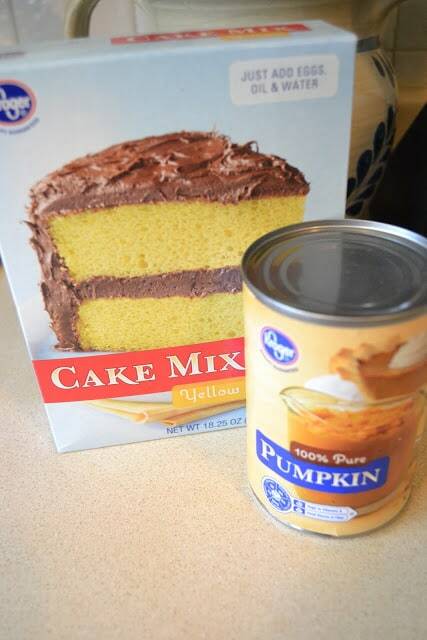 I really like the idea of using a yellow cake mix. I feel like if you want to get the strongest pumpkin flavor (even though it’s still just a hint IMO) then go with the yellow.